It’s poncho time. Keep your little girls toasty warm this winter season with a poncho. Whether your little girl or toddler is at play, at school, or just hanging out in the house, a poncho is a great lightweight covering that is not too bulky or constricting. These ponchos are super easy to make using upcycled sweaters and fleece of all kinds. 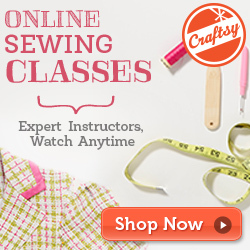 Dress it up with a soft flower made of fleece, decorative trims, or other fun embellishments. I put a few of my felted wool sweater balls on this one. Mix and match colors to create a one-of-kind, whimsy, fun, playful poncho she will love wearing. The neck binding is easy to sew and made with cozy fleece that fits comfortably and easily over the head. Just think of all the different color combinations and fun contrasting neck bindings you can create. The patterns are available in my craftsy shop and my etsy shop. Sizes 6 months to girls size 14 is available. I am working on the womens size pattern right now, for those of you gals who would like to wear something a little whimsy and fun yourself. Stay tuned and I will let you know when that pattern is ready to roll. These would make fun Christmas gifts for your little girls or grand kids! This really is a quick easy project. Then either subscribe to my blog. (In the column to the right) or like my facebook page. Send me an email and let me know what you did and I will email the pattern right to you.